Trousers and shoes, courtesy of BLANCO. Canvas and leather bag, Lee 101. Stripes t-shirt, vintage Levi's. Cardigan, ZARA. Wing ring, ASOS. 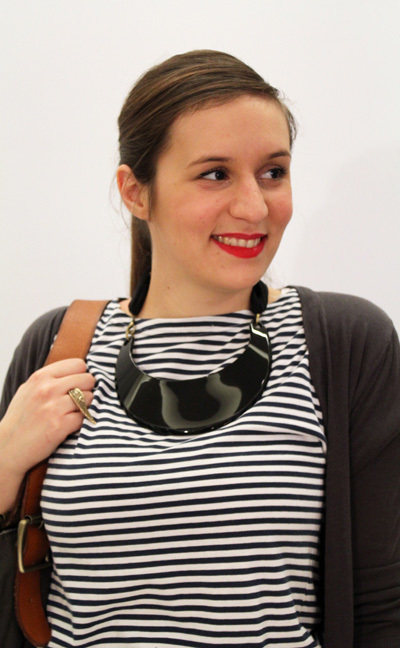 Necklace, CASA di MINEA via YOOX.